We are overwhelmed to reach you again with the next set of updates to enhance your experience with Apptivo! Take a sneak-peek into the blog to get more ideas on how to use your Apptivo, to support even more features. Here we present you the new updates in Apptivo as on January 19, 2019. You would be aware of the Data Access Sets in Apptivo, which restricts access to required individuals so that the records assigned to them can be accessed and worked on and not the remaining records. Data Sets in Apptivo gives you the ability to provide access level privilege of object records to a specific group of people. In this release, you can find this feature implemented in the Leads App, Pricing App, and the Items App. 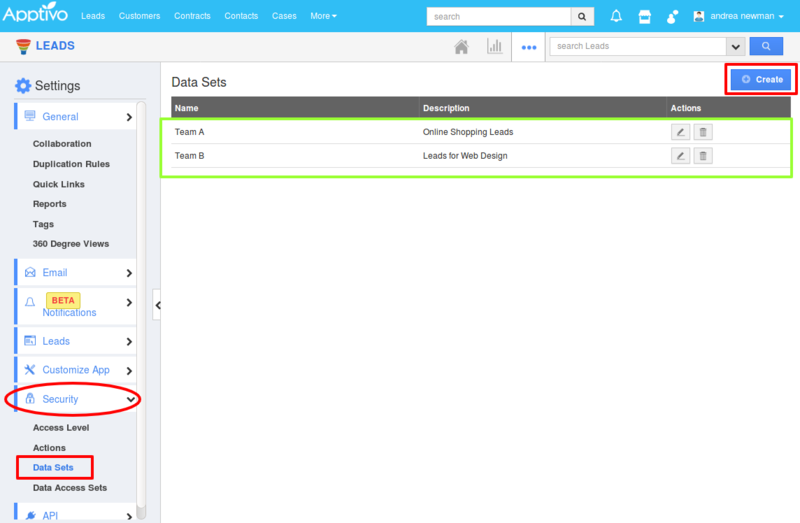 You can take a look at the image of Data Sets in Leads App. Get a clear picture, on how to Create and Access Data Sets from our Answers. In the Contacts App, you can now get the Associated Object Reports which is the brand new implementation of this release. This may include the reports of the Associated Activities too. 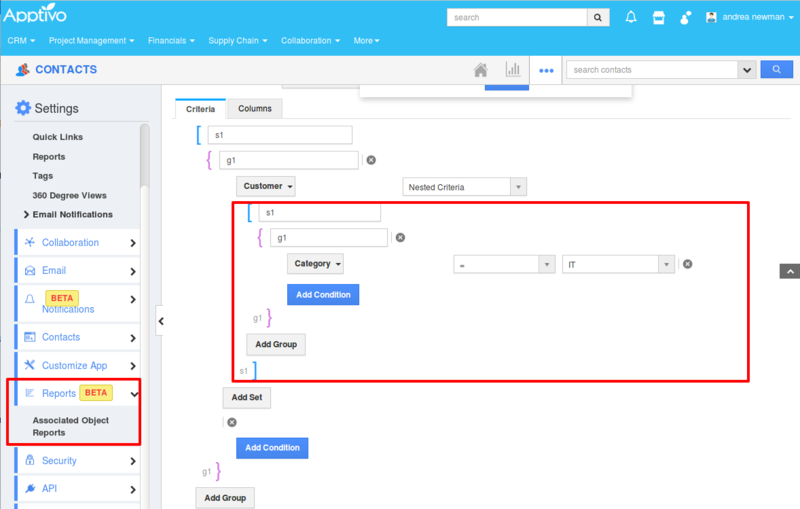 You can customize the fields of the Customer App by associating them using the “Nested Criteria” feature along with the Activities that should be visible in the Associated Reports. For Instance: Consider the Contacts App. Imagine you are the Marketing Manager of the company and want to view the reports of the Contacts, their activities along with an interested category of Customers, say for example IT. You can Make use of the Associated Object Reports to achieve them. Once you procure customer requirements, the next step is to create an estimate. You send the estimate to the corresponding customer for his approval. Now you can Approve and Reject the Estimate in the Estimate Overview Page once the email is sent, rather approving or rejecting from the link sent in the email. Know how to get approval for an Estimate, from our Answers posts. You can now edit and update the start date and end date (due date) of the project in the Overview page. To update the project duration, you can also update task duration. This is because the Project’s start date and end date is driven by task dependencies. 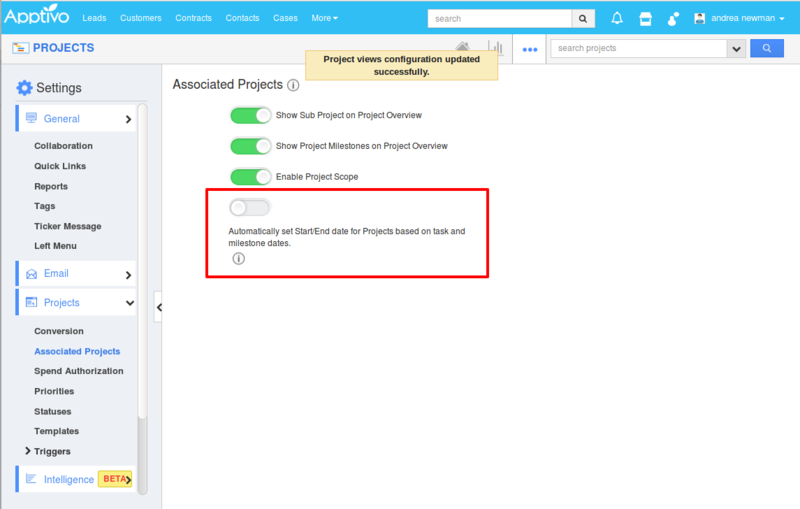 An enhancement in this release is that you can disable the toggle to Set the Start and End date of the Projects from the Settings, you can edit the dates straight from the Project Overview page. Just click over How to edit and Update my project due date? To know more about the other options available. 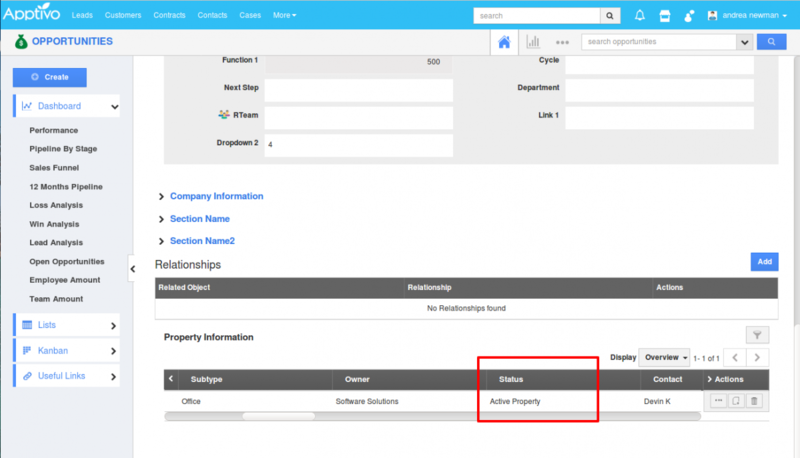 One of the major implementations in this release is that if you change the Property Stage in the Properties App, it will get reflected in the Property Information section in Opportunities App. 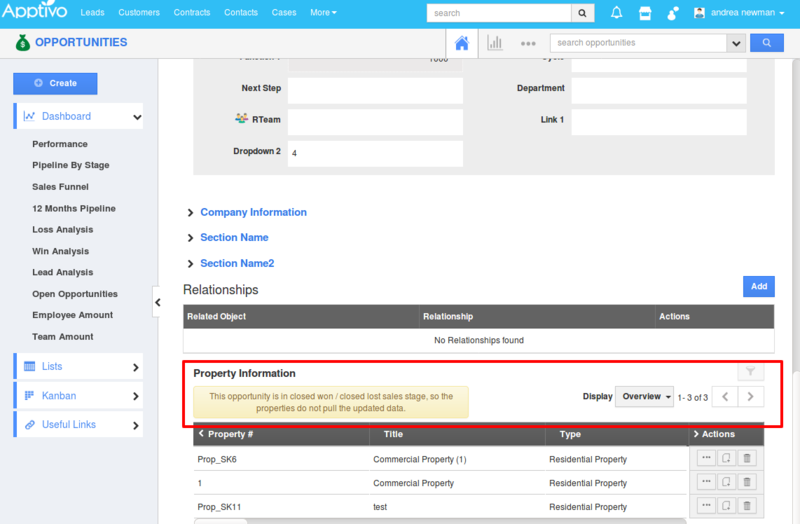 The filtering in the Opportunities for the Properties status is disabled if Sales stage is changed to Closed Won or Closed Lost. 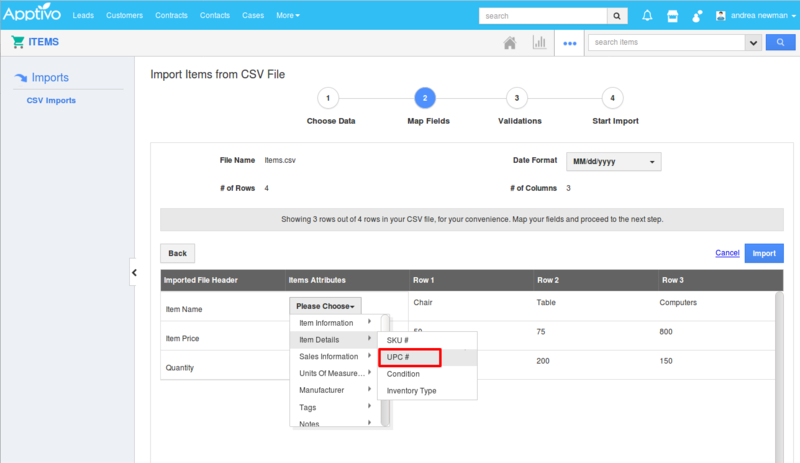 A noteworthy enhancement in this release is that you can not only create items individually or you can import the list of items into Items App with a CSV spreadsheet file but also Update an existing item while importing the items in the Items App. 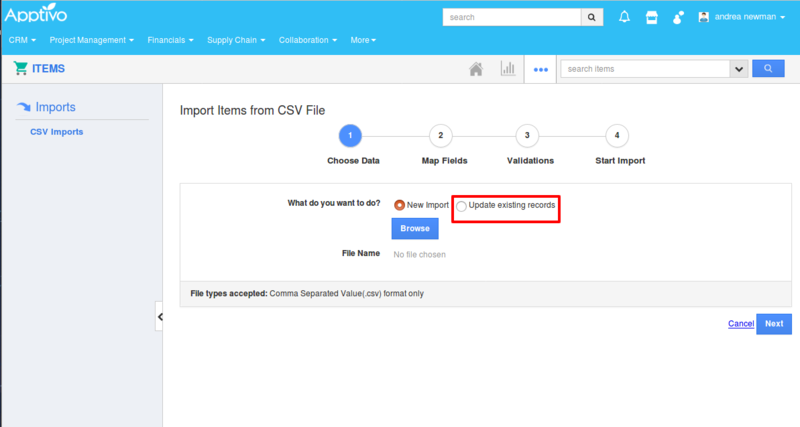 You can learn more on How to Update Items while importing from our Answers page. An added enhancement is that the UPC Number is made available for mapping while import. Apptivo Purchase Orders App gives you the ability to perform specified actions to more than one purchase order simultaneously. Using these bulk actions in the list views in the Purchase Orders App, you can make changes to an n-number of purchase orders instantly. From now on, you can export the table section in Purchase Orders. 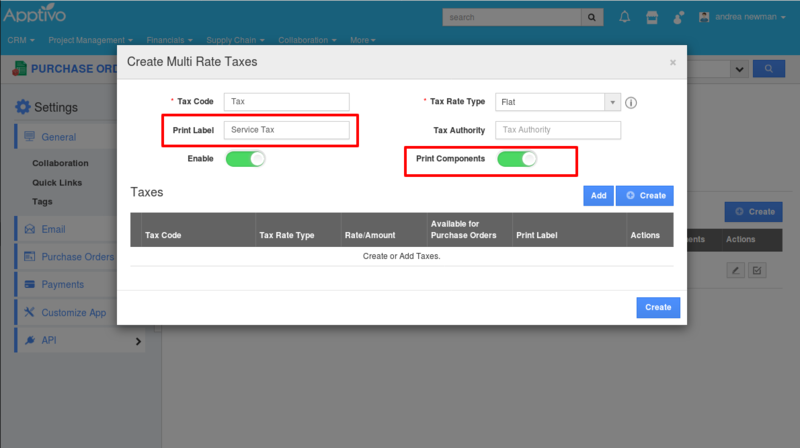 An additional enhancement to the Purchase Orders App is the support of the Print Label and the Print Components while creating Taxes. Documents, along with notes, appear in nearly every application. This is important because it allows yourself, and your employees, to store documents & files in a sharable & organized manner. There are many excellent uses of the documents feature, such as storing sales proposals, project plans, contracts, standard procedural documents, or even project deliverables, such as reports, logos, design mock-ups, you name it! You can now add the Documents as Links. Know more on the above by clicking here.